There is nothing better than a Jeep. This is true when it comes to off-roading, and on-the-road, fun. Now, what if that logic was placed in the mid-size truck segment? 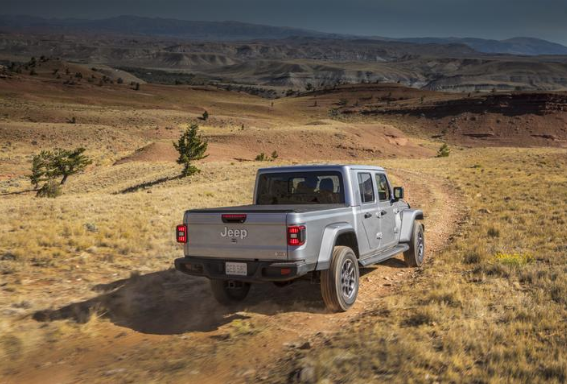 The answer to that is the 2020 Jeep Gladiator, which we have all been anxiously awaiting since the rumors began to fly. Every year we have been looking for the latest information to learn more about where the Gladiator sits in development, and now the beast has finally arrived, and starting in the first half of 2019, the Gladiator is going to be officially in production. It’s hard to pinpoint the last time a vehicle has had so much hype around it, and you might be wondering, is the hype worth it? We’re here to clearly say, yes, yes it absolutely was. The Gladiator combines everything you love about a Wrangler with everything you love about a pickup, and the final product is worth the wait. To learn about what the 2020 Gladiator has in store, keep reading down below! What kind of power can the Gladiator produce? The Gladiator is rolling onto lots with one standard engine and another engine on the way! The first engine is the emblematic Pentastar 3.6-liter V6. This engine can produce around 285 hp and 260 pound-feet of torque. Along with this power, the engine also gets an engine stop/start system to help conserve fuel. As far as transmissions go, the standard transmission is a six-speed manual, while the option transmission is an eight-speed automatic. What makes this engine perfect for the Gladiator? The V6 engine has low-range torque, which works perfectly for demanding conditions and trails. Starting in 2020, the Gladiator is going to introduce the 3.0-liter EcoDiesel engine, which can output 260 hp and 442 pound-feet of torque. Instead of the six-speed manual, this engine comes standard with the eight-speed automatic transmission. Besides ESS which comes standard, this engine also offers low pressure cooled exhaust gas recirculation (EGR), which helps to improve fuel economy. What safety is included in this truck? The Gladiator might not be a minivan, but that doesn’t mean it lacks in safety. In fact, the 2020 Gladiator is available with more than 80 advanced safety and security features. A few of these safety features include a forward-facing off-road camera, electronic roll mitigation, a standard ParkView rear backup camera with dynamic grid lines, blind-spot monitoring, adaptive cruise control, rear cross path detection, and electronic stability control. This doesn’t even cover the Uconnect systems, which offer navigation and communication to make sure that you can stay in touch and on the right path. All of these features are vital to giving off a safe environment that you know you can rely on. What are some of the off-roading capabilities? If you’re buying a Jeep, you already know that you’re going to be getting best-in-class off-roading capabilities. The Gladiator itself offers two advanced 4×4 systems. The first of these two systems comes standard on the Sport and Overland trims, and is the Command-Trac 4×4 system. Featured in this system is heavy-duty 3rd-gen Dana 44 front and rear axles, and a two-speed transfer case. The other 4×4 system comes with the Rubicon trim, and is a Rock-Trac 4×4 system. This configuration includes Tru-Lok locking differentials, heavy-duty 3rd-gen Dana 44 front and rear axles, “4LO” ratio of 4:1, and a 4.10 front and rear axle ratio. Both systems are offered with full-time torque management. In order to get a Trail Rated badge, every Gladiator must be able to ford up to 30-inches of water, have aggressive available 17-inch off-road wheels, include front and rear tow hooks and skid plates, and have ground clearance of up to 11.1-inches! 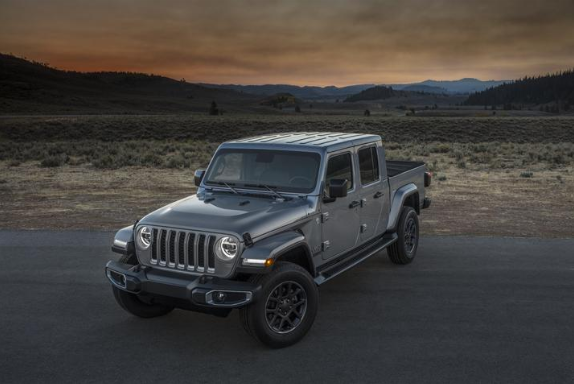 The fact of the matter is, the 2020 Jeep Gladiator is everything you could ever want in a midsize pickup truck. Not only are you getting Jeep off-roading capabilities, but you’re getting impressive payload and towing capabilities that will make every adventure that much more special. 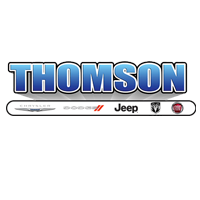 Be sure to check out our full Jeep inventory as we wait for the Gladiator to make its debut to dealerships!